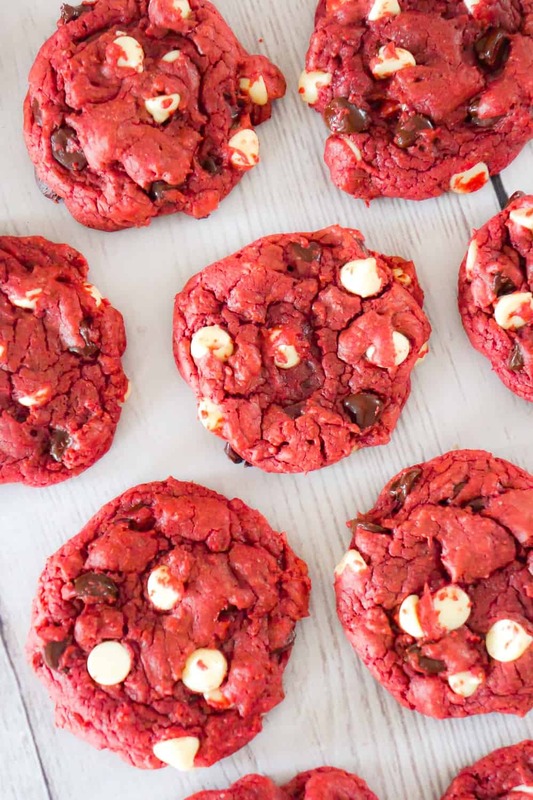 Red Velvet Cake Mix Cookies are an easy dessert recipe perfect for Valentine’s day. 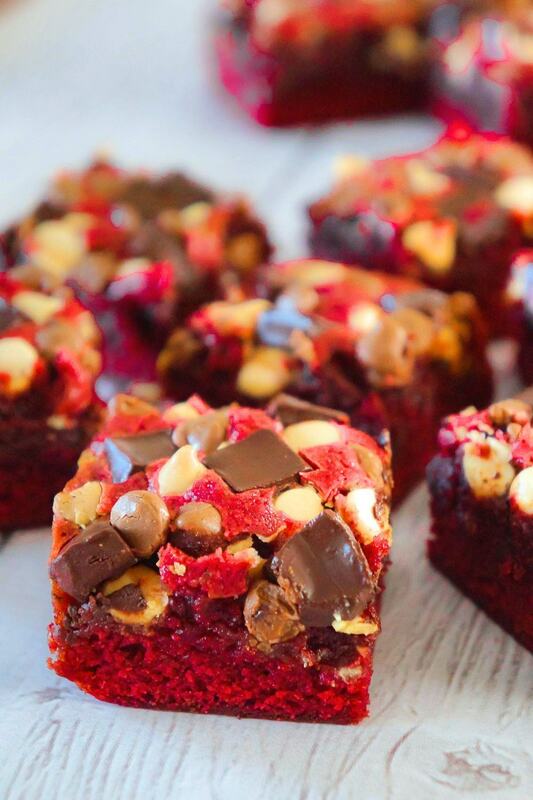 These chewy red velvet cookies are loaded with semi-sweet and white chocolate chips. 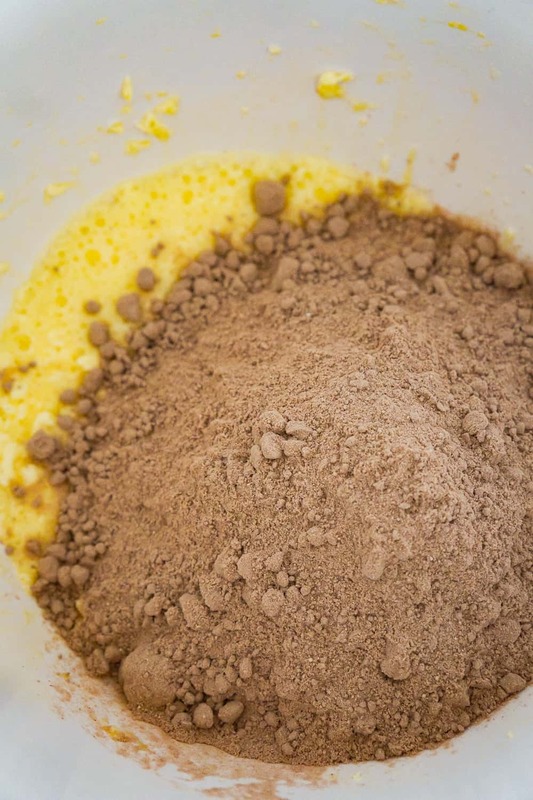 To make these cake mix cookies, I started by dumping some softened butter and eggs into a large mixing bowl. I used an electric mixer to cream the ingredients together until no large lumps remained. 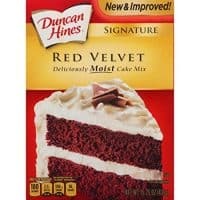 Then I added a box of red velvet cake mix to the bowl. Then I added some semi-sweet and white chocolate chips to the bowl. I stirred the chocolate chips into the cookie dough with a rubber spatula. Then I scooped the cookie dough into balls approximately one inch in diameter and dropped them onto a non stick baking sheet. I baked the cookies until they looked cooked evenly all across the top. After I removed the cookies from the oven I left them to cool on the baking sheet for a few minutes before using a spatula to transfer them to some parchment paper on the counter to finish cooling off. 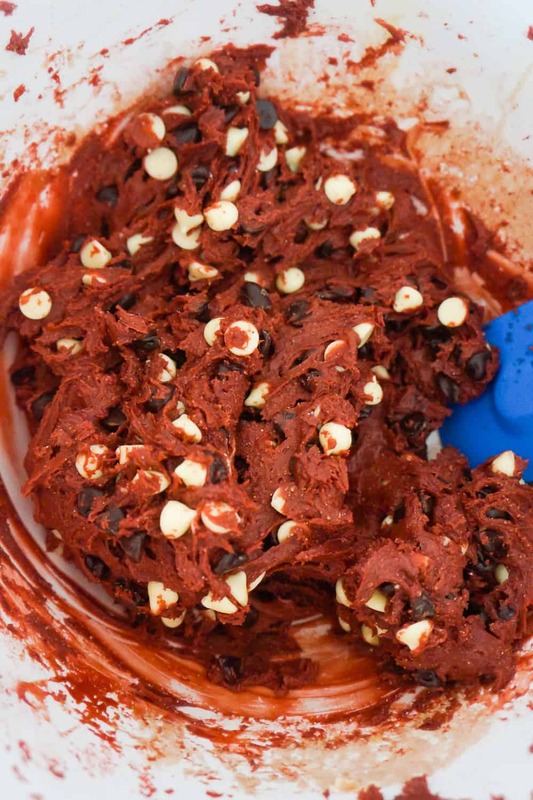 These soft and chewy red velvet cookies are easy to make and totally delicious. 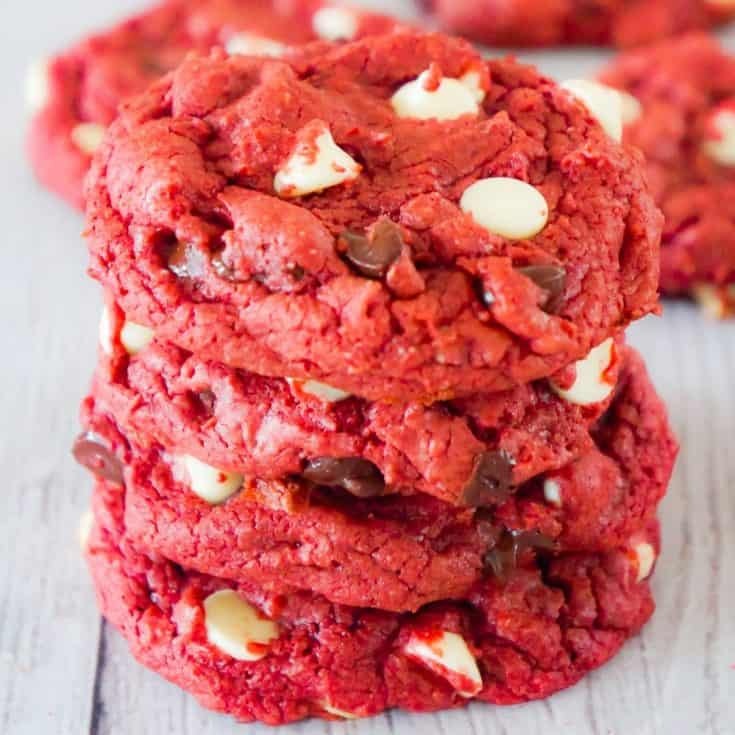 If you are looking for a simple and decadent cookie recipe then you need to try these Red Velvet Cake Mix Cookies! 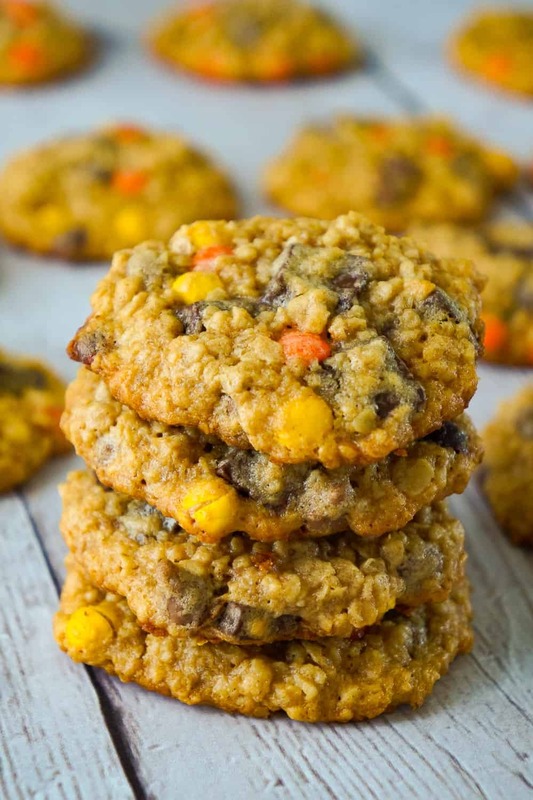 Another delicious cake mix cookie recipe. 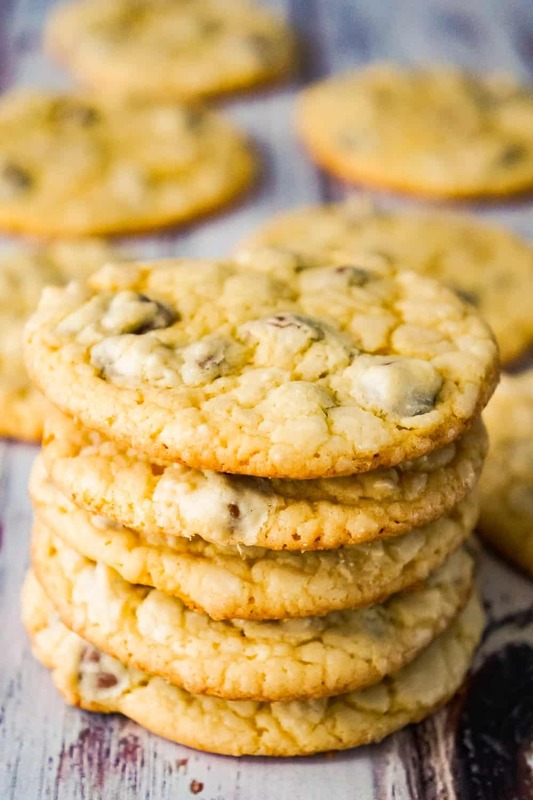 Check out these Cake Mix Chocolate Chip Cookies! Be sure to also check out these Peanut Butter Oatmeal Cookies with Chocolate Chunks! 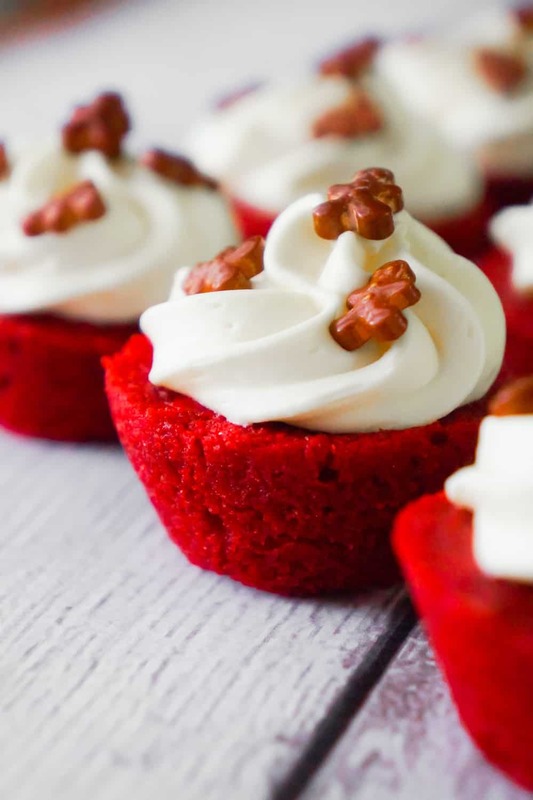 Another decadent red velvet recipe. 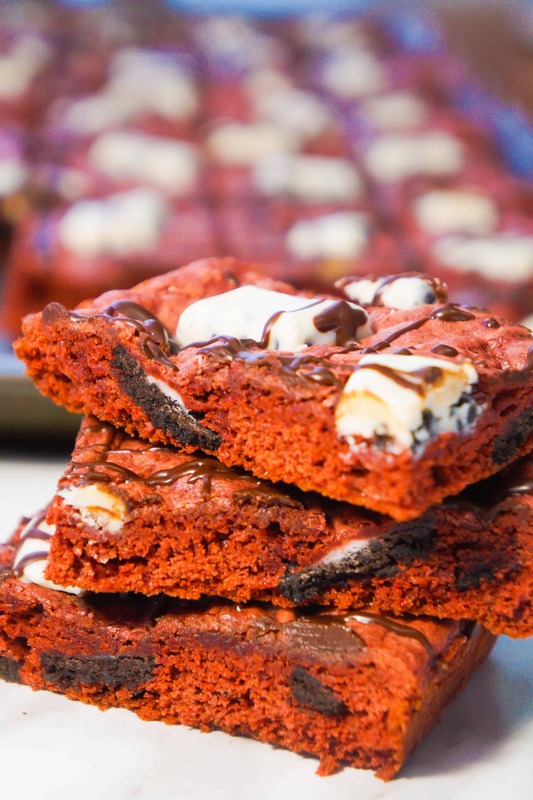 Check out these Red Velvet Brownies! 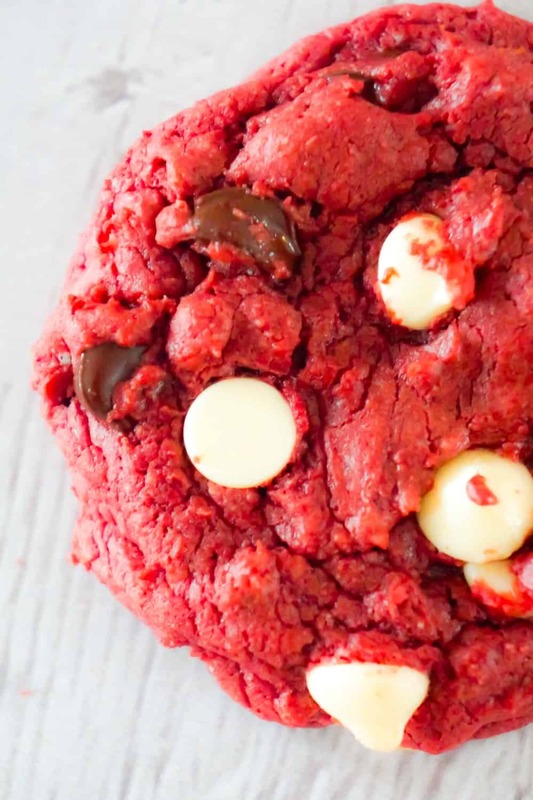 Red Velvet Cake Mix Cookies are an easy dessert recipe perfect for Valentine's day. 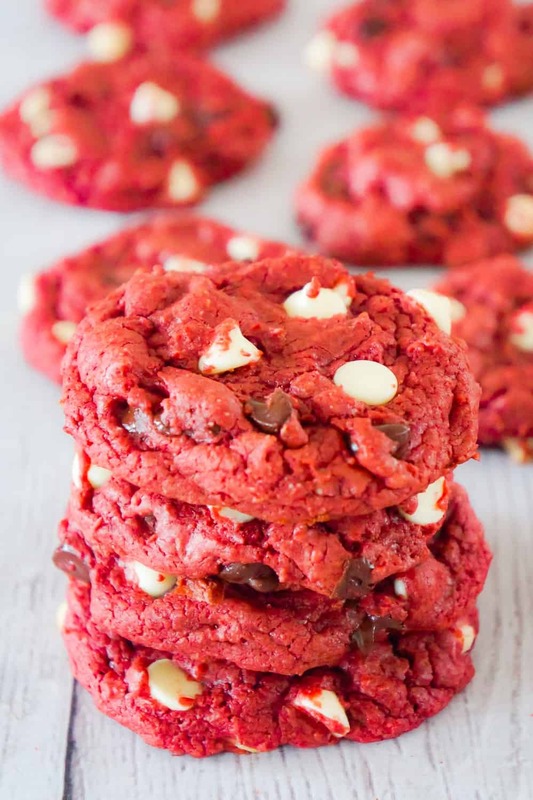 These chewy red velvet cookies are loaded with semi-sweet and white chocolate chips. 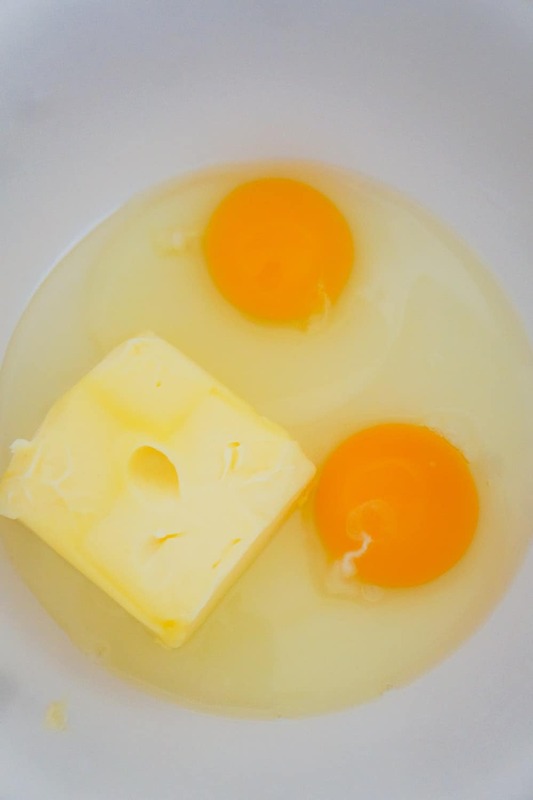 Dump softened butter and eggs into large mixing bowl. 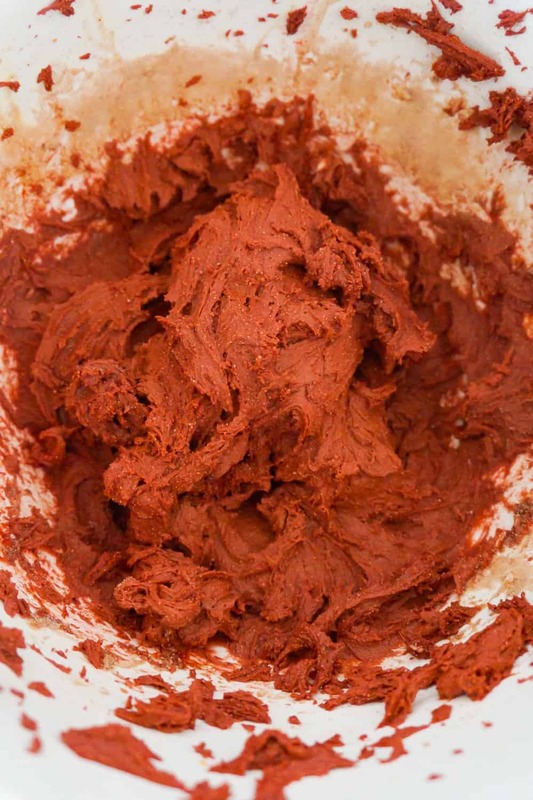 Cream ingredients together with an electric mixer until no large lumps remain. Add the cake mix to the mixing bowl. 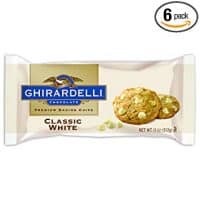 Add the semi sweet and white chocolate chips to the bowl. 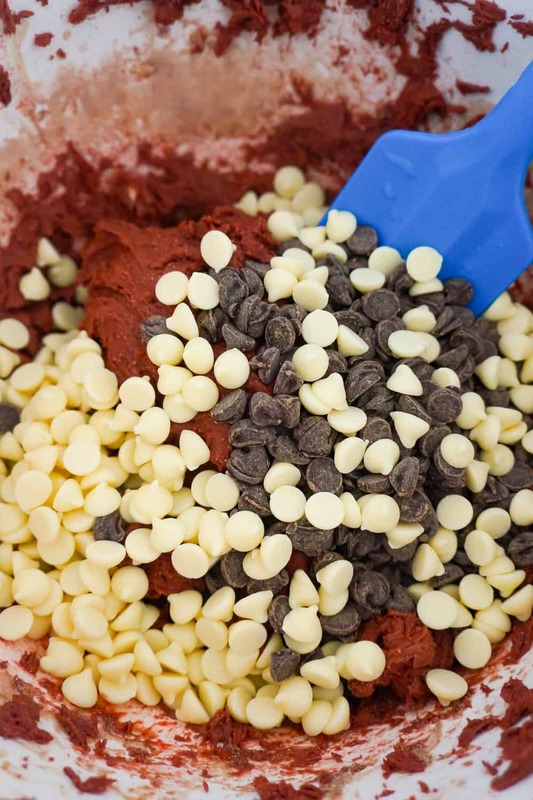 Stir the chocolate chips into the cookie dough with a rubber spatula. Scoop the cookie dough into balls approximately one inch in diameter and drop them onto a non stick baking sheet. 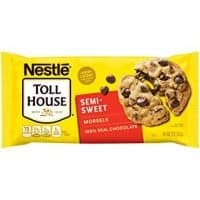 Be sure to leave at least 2 inches between the balls of cookie dough. Place the baking sheet in the oven and bake until cookies look evenly cooked all across the top. 10-12 minutes. 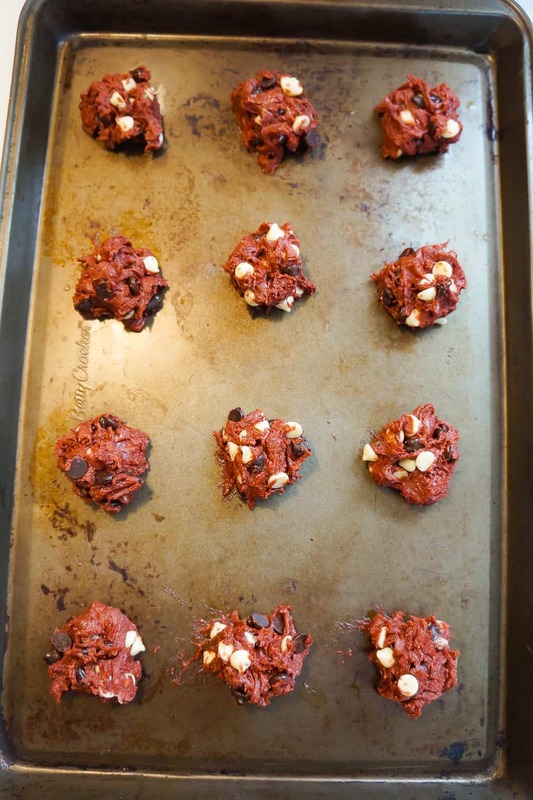 Remove the cookies from the oven and allow them to cool for a few minutes on the baking sheet before transferring them onto some parchment paper on the counter to finish cooling off.